Showers early, then cloudy overnight. Low 38F. Winds NNW at 15 to 25 mph. Chance of rain 50%. Higher wind gusts possible..
Showers early, then cloudy overnight. Low 38F. Winds NNW at 15 to 25 mph. Chance of rain 50%. Higher wind gusts possible. Hawkeye Auto Body is a family owned collision repair business that has been serving North Iowa and southern Minnesota since 1976. Accidents can be stressful enough, so we're committed to understanding your concerns and needs. Our commitment is to get you back to your normal daily routine safely and as quickly as possible. Our goal is to build a relationship of trust with our customers. Look no further if you are seeking great customer service, so give our staff the opportunity to serve you. We want to better your stressful situation and do what we can to turn it into a pleasant experience. We look forward to serving you. 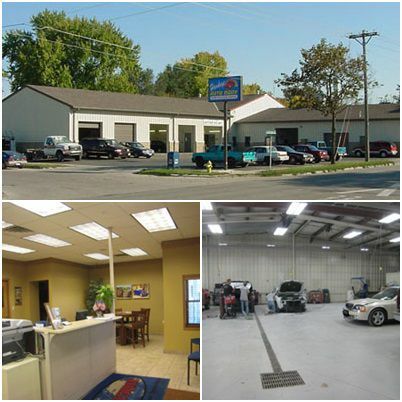 For more information visit our website at www.hawkeyeautobody.com or call us at 641-424-4973. At Hawkeye Auto Body, we do what we say we are going to do, but we also say what we can’t do. There are no empty promises, just honesty. We strive to exceed expectations and we've hired some of the best technicians in the industry to help us meet these goals. We provide our customers with quality work and service in a timely manner. We understand the frustration and vulnerability associated with the repair process, that's why our goal is to restore not only your vehicle but also your piece of mind. Click here to see a full list of all of our services. We want to thank you so much for the excellent job you did on repairing our Toyota. We appreciate your promptness and careful care. We will highly recommend you. Thank you to everyone at Hawkeye Auto Body for the super quick and professional repairs on my Ford Focus. I am still shocked at how fast my car was repaired and it looks like new. Your facility does a wonderful job from estimate to delivery. Keep up the good work! Hawkeye Auto Body does outstanding work. They are very friendly and helpful. I am very sorry I have not stopped in to tell you guys what a wonderful job you guys did fixing my wife's Jeep in September. We are very pleased with the repairs completed at your facility. Many, many, many thanks. Also, I forgot to mention your staff doing such a great job getting the rental car lined up and everything else to make the whole procedure very easy on our lifestyle and schedule. You guys can be assured you will get repeat business from us. To everyone at Hawkeye who helped me with my Corolla, thank you for all your work repairing the damage. Thanks for helping me set it under cover for that weekend. It's nice to have the car back and everything you did is very much appreciated. Thank you very much for you assistance with my car appraisal! I greatly appreciate the time you took to do the appraisal, contact my insurance, and then keep me in the loop when my insurance company contacted you and not me. Seriously, I have much gratitude to your team! Have a great day!